Learn I Feel Good’s 5 principles for good health and wellness. Discover the Yoga of Food and how to incorporate a whole food plant based lifestyle into your life for better health, weight loss, lower cholesterol and blood pressure, and the prevention and reversal of disease. Adam Guthrie Before & After Heart Attack - at age 39 Adam had a heart attack. He was 110kg (240lb), depressed and unfulfilled. The heart attack was a wake up call and he realised he need to change. 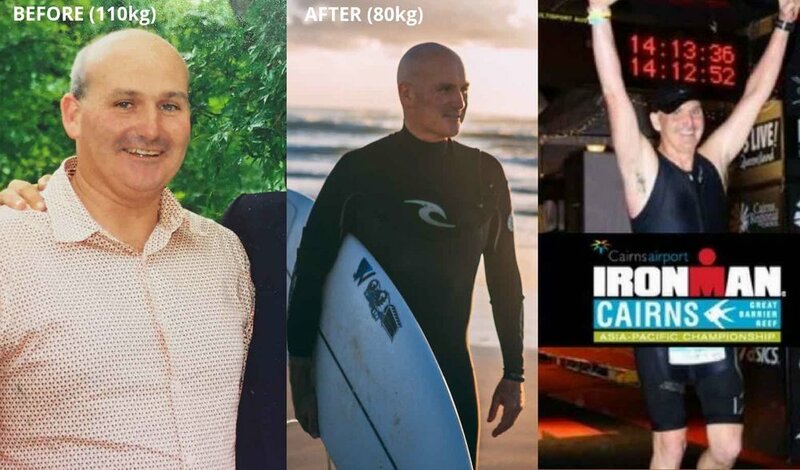 As a result he discovered a simple natural way of eating and living that helped him get off all medication, lose 30kg (66lb) and gain enough energy to do one of the toughest endurance events in the world, an Ironman Triathlon. 1st, 2nd & 3rd March 2019 (Starting Friday at 5pm and finishing Sunday at 5pm).